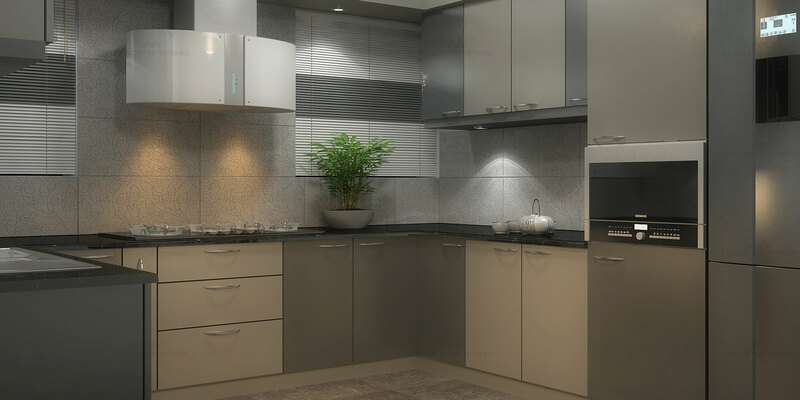 Gray is a very soothing colour and pairing it with white is a refreshing combination for Kitchen. Perfectly balanced kitchen with bottom and overhead units. The designer backsplash has also been given a gray shade. The countertop is done with black granite.